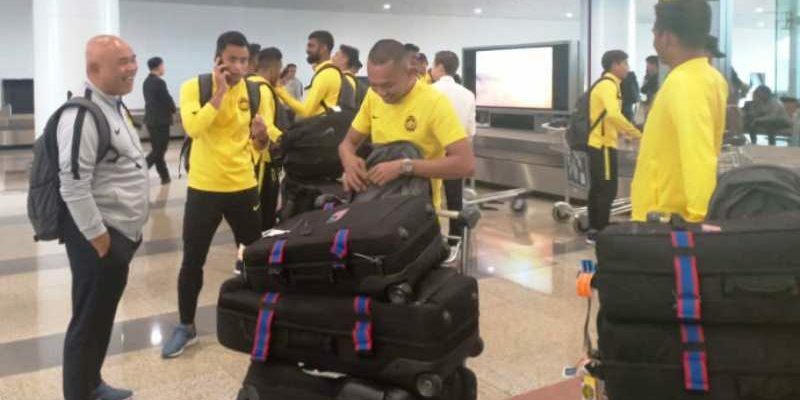 HANOI (13 Dec 2018) – Harimau Malaya flew off to Hanoi this morning full of confidence and high in team spirit – ready to do battle against the Golden Dragons in the second leg of the AFF Suzuki Cup finals this Saturday night. The battle ground is the My Dinh Stadium in Hanoi – Vietnam’s fortress – with both teams on equal footing after a thrilling 2-2 draw in the first leg at the National Stadium in Bukit Jalil last Tuesday. It was a tremendous fightback by Harimau Malaya to wipe out Vietnam’s 2-0 lead by the 25th minute. Malaysia made it all square by the hour mark to keep themselves in the hunt. For the second leg Malaysia’s confidence and team spirit is further boosted with the return of injured defenders Aidil Zafuan Abdul Radzak and Syazwan Andik and Syamir Safari from suspension. After showing character in Bukit Jalil, Harimau Malaya now take the momentum into the second leg and believe that the 2010 champions have an even chance of bringing the cup home despite playing the “underdogs tag” once again. “Obviously it is a great feeling to have the three back…something that is a huge boost for the team,” said Malaysia head coach Tan Cheng Hoe at KLIA before leaving with the team for Hanoi. “Collectively we were better on the night (first leg). We had to work hard against a strong team like Vietnam. We did it against Thailand (semi-finals) and we did it against Vietnam. Vietnam won the premier football title in the ASEAN region in 2008 and have been touted as the potential champions this year under South Korean coach Park Hang Seo.